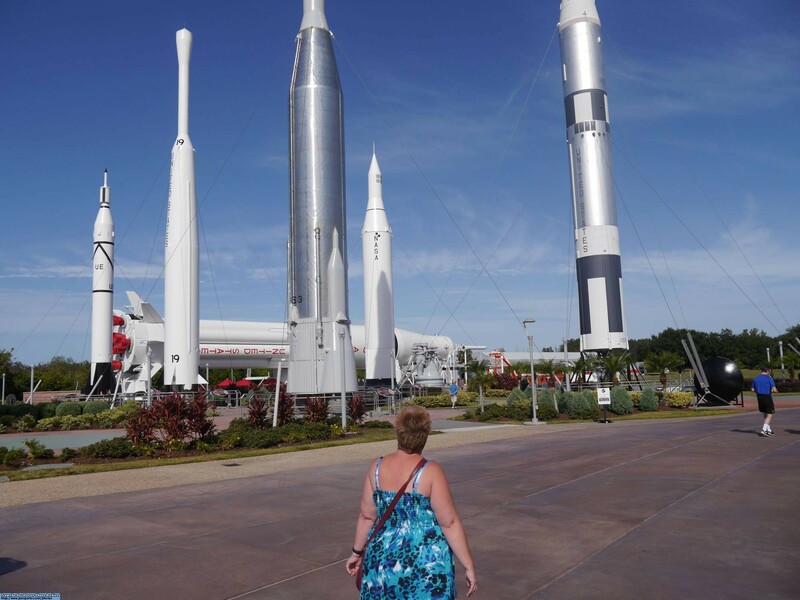 During our visit to Orlando in November last year, we were very keen to revisit Kennedy Space Center. 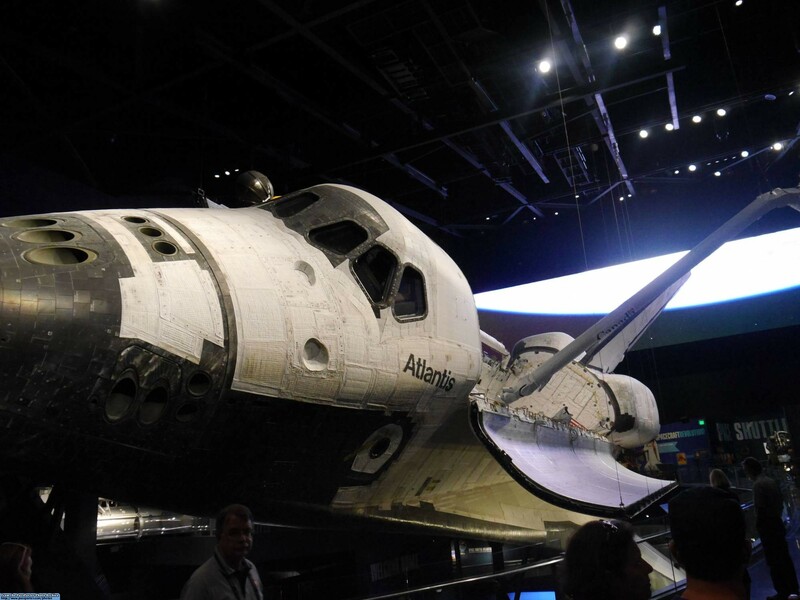 We had last visited in 2013, just when the space shuttle Atlantis was being warehoused ready for her new exhibition hall to be built, and really wanted to see what the new exhibit was like! On the day of our visit, we were up very early and drove out to Kennedy Space Center, about an hour away from where we were staying. Just before you get there, there is a long causeway that you drive across, with the sea on either side of you. We love this part of the drive, and this time I saw a wild dolphin leaping in the water. Then a bit further on, I also saw a gator near a stream, just lying there and watching the world. When we got to the Space Center, we both thought that the entrance was either new or changed in some way, as it looked quite different to the last time we had visited. We parked up and headed for the entrance; I already had our tickets, as I had bought them in advance. We went on the Bus Tour first of all, which is much more limited than in previous years, as they were gearing up for the launch of the Orbit rocket in a couple of weeks. This meant the VAB building was out of bounds, which was a shame, although we have had an extensive tour of this previously so we didn't mind too much. During the tour, we spotted a wild manatee, a couple of gators, and two eagles, as well as quite a few vultures, (everyone look alive!). We disembarked the bus and had a quick look round the Apollo and Saturn rocket buildings, then caught the bus back as our primary objective on this visit was to see the new Atlantis shuttle exhibit, and we were keen to get there! Back at the main building, we picked up some lunch – My husband got a burger and fries, and I had chicken tenders and fries; both were good, but they didn't sell coffee at this location, so we had to settle for water. Again, we didn't remember this food outlet being in this particular location before, and we also had to battle to stop the local birds from stealing our food while we were eating it! Lunch over, we made our way into the new Atlantis building, and were completely blown away by the whole exhibit – it was breath-taking! There is a pre-show film on a huge screen, with very stirring and dramatic music that builds up to a crescendo. Then the screen slowly lifts upwards, and you see the space shuttle in all her glory displayed as though she is flying through space, with her payload doors open. It was so moving! We spent ages walking around the upper area, which also has a full-size model of the Hubble Space Telescope, and lots of exhibits of used spacesuits and helmets, information boards, etc. It was so interesting! We were finished exploring up here, so decided to move down a floor. To get to the lower level of the exhibit, you have two choices. There is a staircase, which I used, and then there was the route DH used – a massive slide, that takes you down to the ground floor at the exact speed and degree of descent used by the space shuttle! 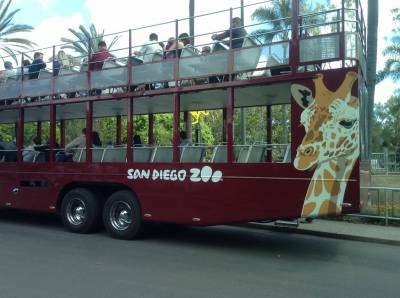 We did think at first that this was only for kids to use, but then we saw a couple of adults on it, so DH eagerly thrust his backpack and sneakers at me, leaping off into the great unknown – well, sliding on his bum to the ground floor, anyway! In her new exhibit hall. We took a quick restroom break, then wandered round the ground floor exhibits. Atlantis looked so big from the ground floor, DH took loads of photos because she was just so photogenic! When we were finally done with the whole exhibit, we left for a shopping session. The store was extremely busy as there was a school group in there, so there were small children EVERYWHERE! Although they were in the main quite well behaved, and not causing trouble or being overly noisy. We picked up some Astronaut Mitts oven gloves, (I have a pair at home from last year, and they are nearly worn out), a t-shirt for my son, and DH's missing space shuttle pin, (he has been collecting significant ones for a little while, and had been previously unable to find a pin of the shuttle we saw take off last year), so he was happy! Unbeknownst to me until I opened these on Christmas morning, DH had also bought me a Fisher Space Pen, (to use when I am an astronaut, obviously), and a really cool, tiny, clockwork moon-rover, that sticks to the fridge using a magnet and then defies gravity by driving round the fridge door – it is fabulous, I love it! Purchases paid for, we went outside, got coffee, and found some quiet seats to get away from the hordes of kids for a while. We relaxed and enjoyed our drinks, before setting off to explore the rocket garden, which is always fun. The Center was closing by the time we had finished Rocketeering, so we reluctantly left the Center and drove back home, not encountering any more wildlife on the way back, sadly. Your entrance ticket to the Space Center includes entrance to the Astronaut Hall of Fame, which is located a couple of miles down the road. (We had visited this on a previous occasion, but didn't have time to visit again last year.) It also includes a return visit within seven consecutive days, which could be useful as there is so much to see here that it is hard to fit it all into one visit! About the Author: Carolyn is a life-long Disney fan from the UK, having made many visits to the parks in Paris, Florida, and California. Next year should see her first visit to the Disneylands in Tokyo and Hong Kong, hopefully! Her wonderful husband is also a huge Disney fan, although he claims he only goes along with her plans to keep the peace! Carolyn is the author of "Tiggerific Travels," an e- journal of trip reports dating from 2006-2010, with a second volume due out shortly.